Bonaways is a spacious and comfortable fully self contained home suitable for families and groups. Located on the main Street of Stanthorpe, it is within walking distance of the local shops, restaurants and parks. 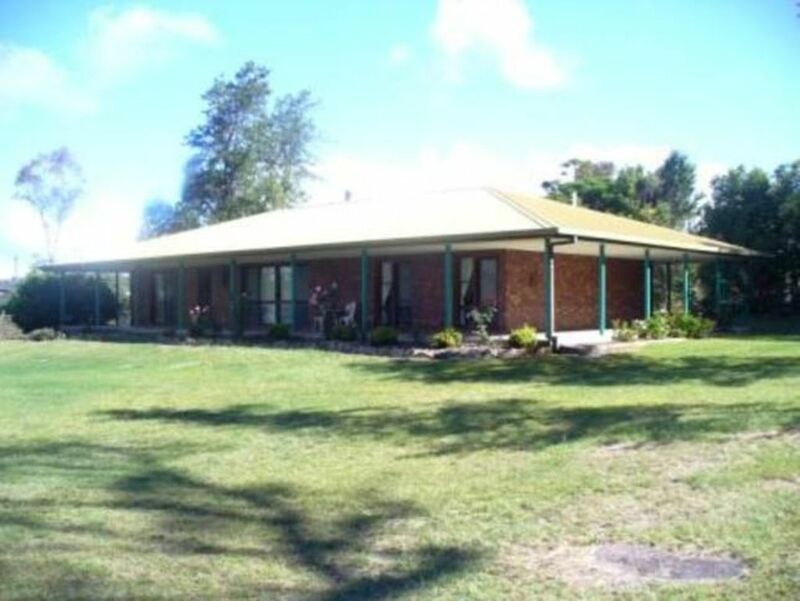 Situated on a 2 acre property, Bonaways gives you a relaxed Country escape whilst being in the heart of Stanthorpe. There is plenty of outdoor space for the kids to ride bikes, scooters and play outdoor games. Relax in front on of the warm and cosy fire and enjoy the company of your friends and family. Weekend Stays - $400 per night for up to 8 people (plus $30 per person for additional guests) - minimum 2 night stay. Discounts may apply in off peak season. Weekly and longer stays - please contact the owner for discounted rates. Bonaways is such a unique property. It is set on just over 2 acres of land on the main Street of Town and is within walking distance of the Town Centre, Restaurants and Parks. The house is set in off the Road. You can enjoy a relaxing time sitting with family and friends on the verandah whilst admiring the open space Bonaways has to offer. Guests of Bonaways have the exclusive use of the spacious and comfortable home which is fully self-contained and includes an open plan kitchen, dining and lounge with wood heater, laundry facilities, 2 bathrooms and BBQ facilities which are located on the wrap around verandah. There is plenty of outdoor space especially for kids to run around and play outdoor games or ride bikes. I am sure they will enjoy climbing the natural rocks located at Bonaways. Thank you Ian for your review. Great position and very well equipped. Will be back again. Lovely surroundings and great position. Easy to find for the weary traveller and very well positioned to ensure privacy and still have room to move and easy access to the main street of town. They have thought of just about everything. Perfect getaway for the largest family or even a couple of families. Also very clean and spacious. Thank you for your review Sandra. We are glad you enjoyed your stay. We were a group of 6 adults & 2 children and stayed for 3 nights. We had a fabulous time as there was so much space inside the house and out. The huge garden was great for the kids and the house had everything you could need. The location was excellent too within walking distance of the main street - we highly recommend Zest for coffee and pastries! - and not far from the wineries. I would highly recommend Bonaways to anyone. Awesome holiday home. Clean and tidy, comfortable beds and the fireplace was a real bonus..highly recommend and will definately be visiting again. Thank you for your review Karlie. I am glad you enjoyed your stay and we look forward to hosting you again at Bonaways.